Doll house dolls. 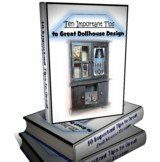 The emotional charge of your Doll House. What could be more adventuresome than planning your mini family? They have got to be "a just so purchase" too. None of this just picking your residents without passion. After all you will be viewing them for a long time to come. Once you have decided upon your choice of family members, stick with that particular material makeup throughout your miniature dolls set. All one type of structural design adds to the class of your collection. Don't mix and match. Even though you may be tempted. These are just some of the choices for your dollhouse family. Your doll house dolls or miniature mansion does not have to remain the same at every turn in the road. All year long. Definitely not. When you create your planned atmosphere perhaps you will design it, generally speaking, to incorporate several different looks. If you have picked out several sets of decor and furnishing, it would stand to reason that each different view could have different complementary people to go with it as well. Will your miniature people perhaps change with the seasons? There are different ideas you can incorporate with each season. You can even think like you would for your own dwelling. Every season we do tend to buy or get new items to display. The same could take place with your minis. Remember your favorite if it is not listed. Maybe your structure will change time frames, from vintage era to modern age, from time to time.... And with that every season of the year could have a complete set of new and interesting decor, residents, furniture and the lot. It is after all your hobby and collection. You really need no boundaries, except for the ones you yourself have set. Think of all the truly creative elements you can add. Then it really becomes an ever growing project of design and imagination. Yours. Porcelain Collectibles. Beautiful collection of porcelain collectibles including bridal, babydolls, fairy and angels and stunning Victorian porcelain styles. 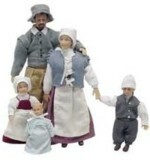 More info on Miniature Families can be found on About.com's page here. But in each set of family you pick, let them all be porcelain, cloth, clay, wood, pewter or whatever... just all the same material per set. Yes that goes for the maid, butler or any other dollhouse staff member as well. Choose from people of every shape, texture and size. From fashion to polymer clay to cloth people. This page contains a list of people categories to get you started. 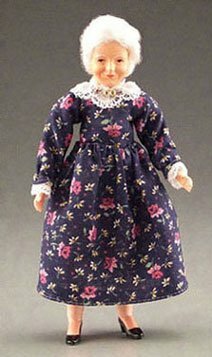 (See above doll house dolls list) Now you have enough to get started with and excited about. If you want to check any more examples out further search the product box below.